Trees For The Future Inc, is an international NGO registered in Tanzania December 2015. Its main office is in Singida Central Tanzania. Trees For The Future Inc, works with local communities toIncrease household food security through diversifying food production, Increase household resilience to economic instability through diversifying production of market – driven agricultural products, Increase productivity of rural landscapes by establishing environmentally responsible agricultural systems and Plant trees to improve soil fertility and restore environmental health. 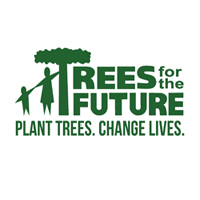 Trees For The Future is seeking qualified Tanzanian to fill vacant positions in Tabora. It is full time job. Interested candidate please send applications and CVs to heri.rashid@treesforthefuture.org not later than 31st October, 2018.